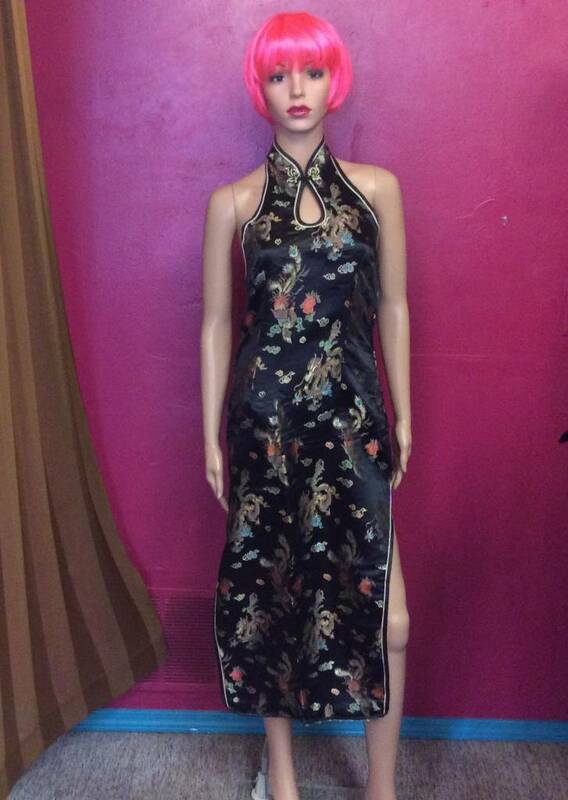 Oriental Cheongsam style sleeveless long gown with high side slits. 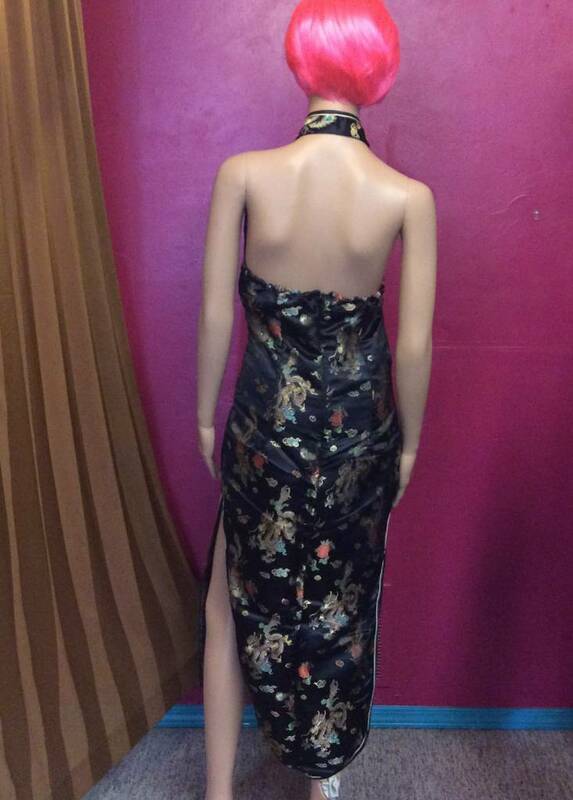 Black satin brocade woven with multi-color oriental dragons, peacocks, flowers & clouds. Stand-up halter collar is fastened with stylized flower shaped cord frog closure in ivory and black. Trim around neckline, and high slits & hem is also ivory & black satin piping. Halter style open-back dress has a hidden 14" zipper. Hand wash cold separately, hang to drip dry.